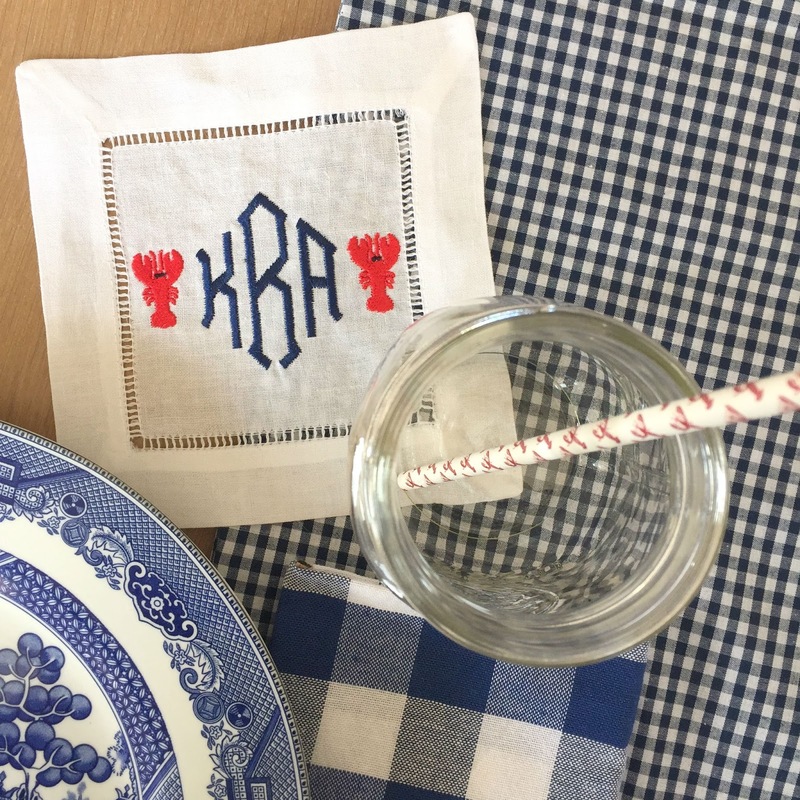 I recently got these beautiful monogrammed lobster cocktail napkins from a cute little shop on Etsy. 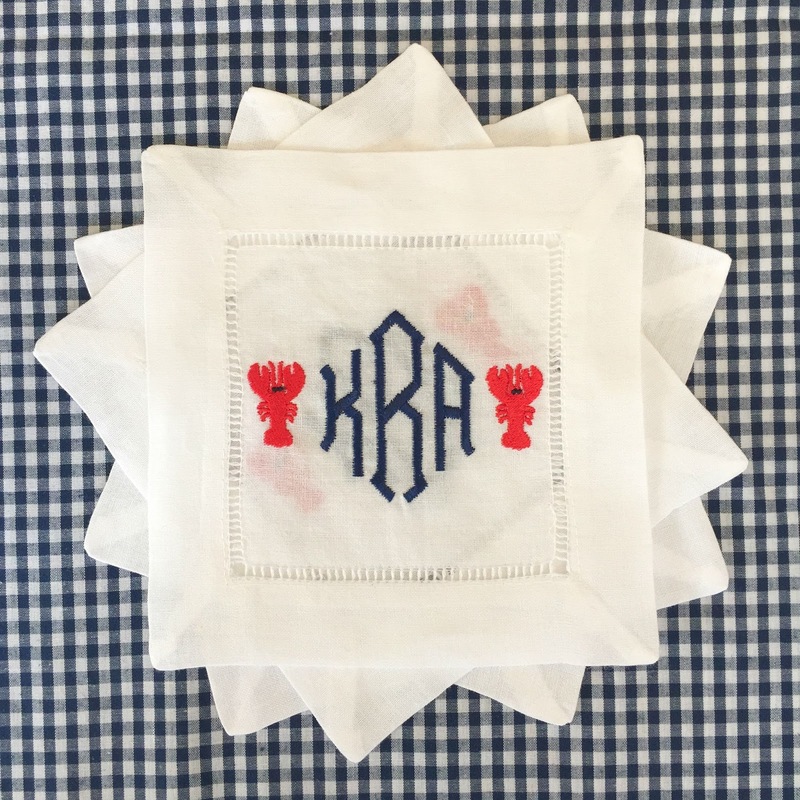 I saw the design on another one of their items and asked it they could recreate it on these napkins and they happily obliged. The shop notes said that there turn around time was 1-2 weeks which I was dreading, but they were amazing and they shipped the NEXT DAY! That is some serious customer service right there. When I received them in the mail, I couldn't get the package opened fast enough. I was floored with how well they turned out! 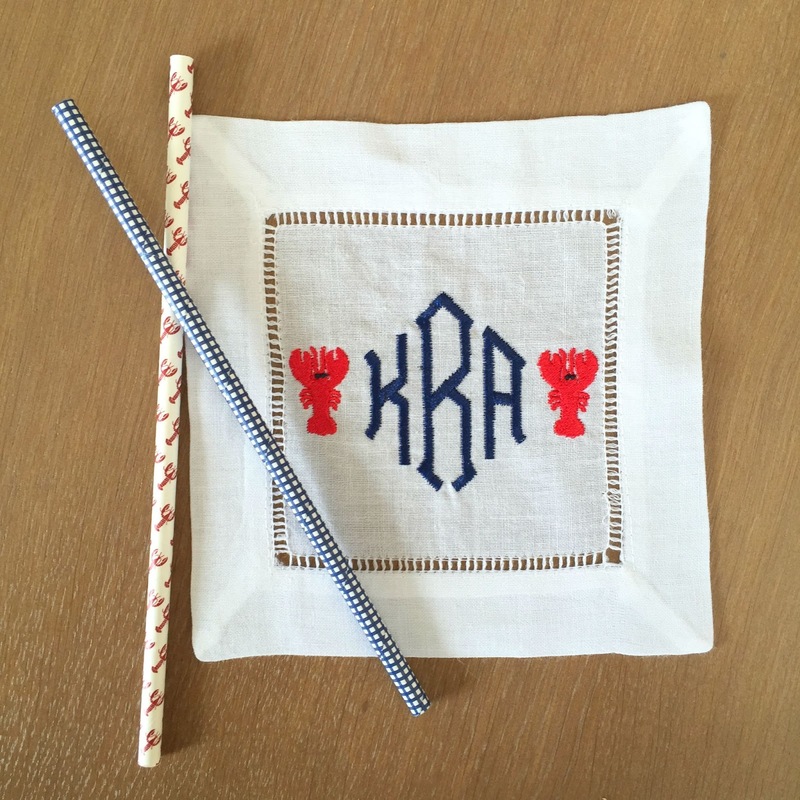 I love how well they match my gingham paper straws! Here are some of my other favorite cocktail napkins. I can't decide which one of these 4 I like better! 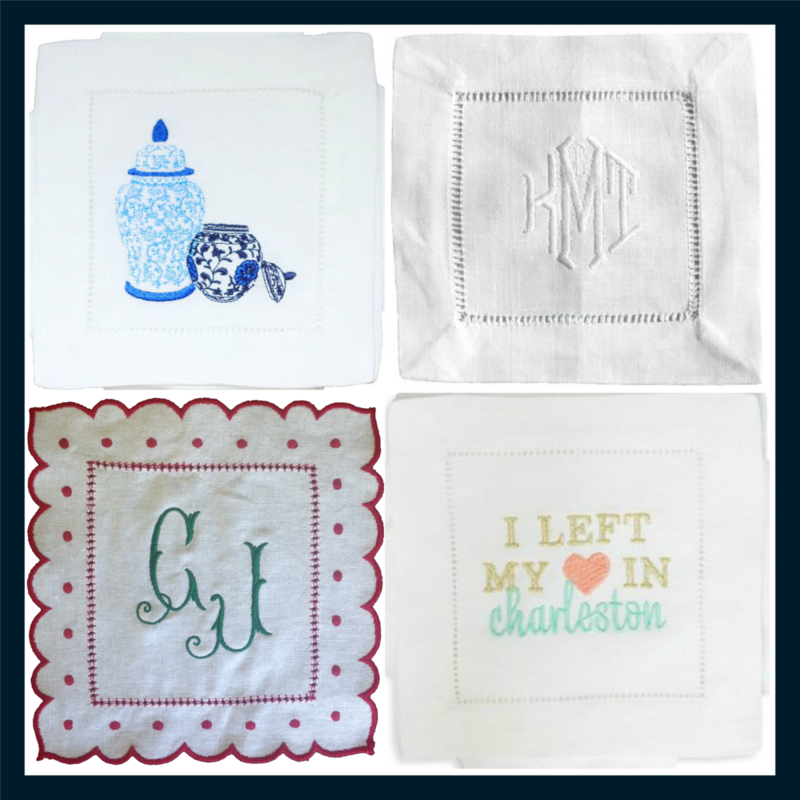 It is hard to pick between ginger jars, classic white monograms, Charleston and scallops! These lobster napkins inspired me to create a summer tablescape for a dinner with my parents. Come back to AMAM tomorrow to see the full look! Here is a little sneak peek. 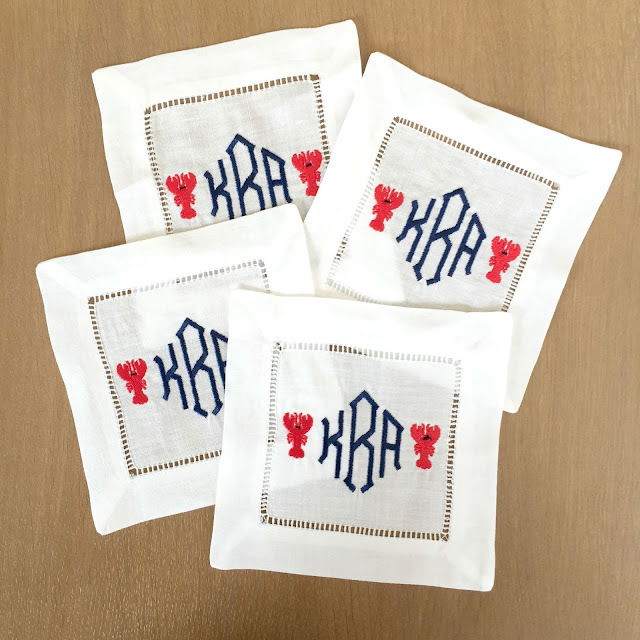 I LOVE those monogrammed napkins, super cute! I think I'm going to have to start adding some monogrammed linens to our home since we're finally settling in. 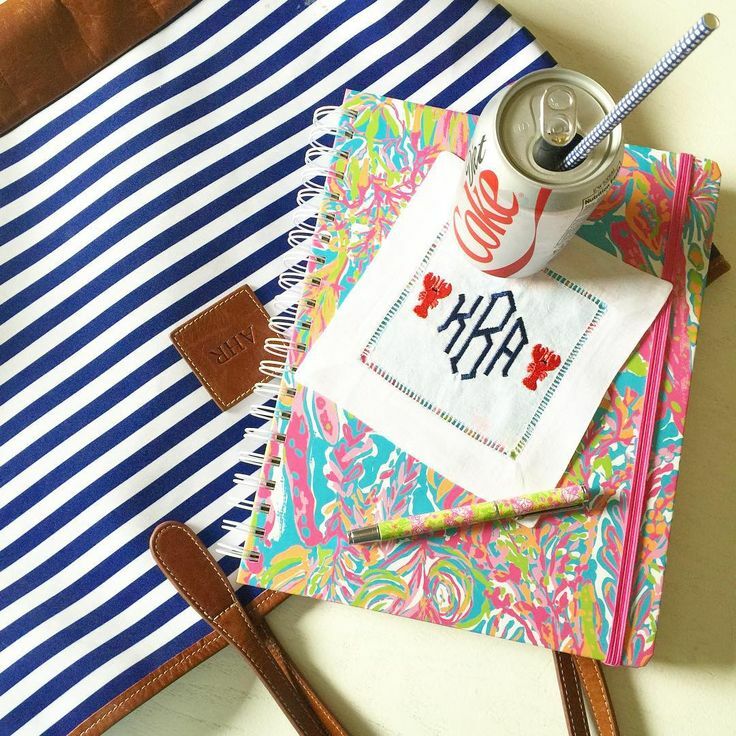 If you have any favorite places to get monogrammed pieces, please let me know!